You want to hit better short shots. It sets up more opportunities for birdies or par saves. Manufacturers talk about ‘Grinds’ in all the adverts for their Wedges now. How does the right Grind work for you? 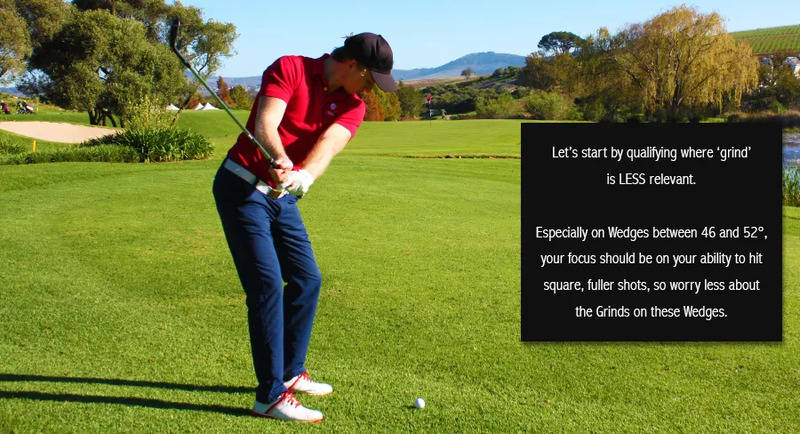 Before we get to ‘Grind’, how many Wedges do you have covering the 8° from 46° to 54°? You should have two. Unfortunately most golfers only have one. That’s your first area of short game equipment improvement.